Hawks with 72 at the half! Trae, JC, Kevin and TP doing there thing tonight so far! These boys are looking good! Trae Young took the Sixers heart out. Embiid or not, the Hawks are starting to have that number again. 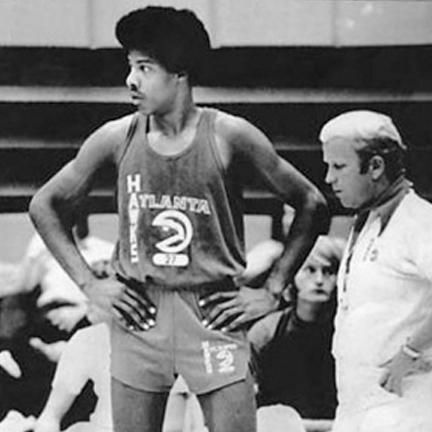 Dr. J was interviewed earlier in the game. How many of yall know that he was drafted by the Hawks? I thought he was drafted 12th overall by the Milwaukee Bucks? Dallas just doesn't want to win lol. This team would make the playoffs next year as is, with no significant additions. If they get some impact players via free agency and the draft, oh boy.....I get what you’re saying though, we’ll be really good in a few years lol. Is that so, Fred Sanford? I hope someone gets the reference. But yeah, we better not mess this up! Lets say they lose the top 5 pick. The pick they DO own is not guaranteed to be a high pick. It could tumble out of the top 10. I don't mind us winning they've still gotta play the griz twice and the sun's. That's 2/3 wins there atleast. We are still 2 wins behind them so we could just lose out if we wanted to but I'd be dossapointed in that. 5 and 6 pick I'd be stoked with. Dallas is tanking. That’s a Mark Cuban move. No way Luka should get the rookie of the year by how they’re finishing, but he will which is BS. Likely going to lose vs Orlando tomorrow even if they play it straight up and I think that would probably lock it up (I'm not totally sure because of other teams). Orlando needs to win and they have players that cause the Hawks major issues even if the Hawks go in playing to try to win the game and play hard (which will actually be a question since it's on the road, they might play games again with PT and the like on sitting players). Now, if you actually fumble that game into a win, then you're in real trouble of jumping up a lot. Hey I agree with this! Just wait til we get Zion!! !